This research paper will be taking a look at Celiac Disease, what it is,what the symptoms are, how it’s connected to wheat and the Gluten-Free diet. This image is excellent in describing how bad gluten is for you. 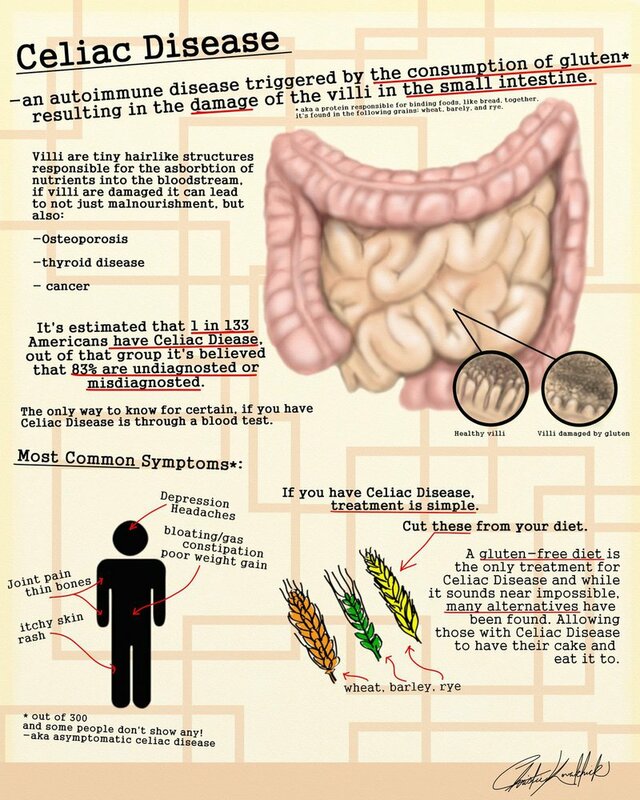 However even I did no know it was linked to Celiac Disease. I at least know how bad it is for and stay away from it. The problem is educating society, even though most choose to be ignorant. Exceptional use of media in this, and for such a little known topic. a lot more people are becoming aware of gluten and the effects of it.